Claims of instant astral projection may seem to be somewhat of a stretch… granted, it would normally take some amount of time and practice before someone would become able to induce astral projection instantly and at will but there is a tool that can dramatically accelerate this learning process: binaural beats. Let’s take a look at what they are and how they can induce instant astral projection. 1. 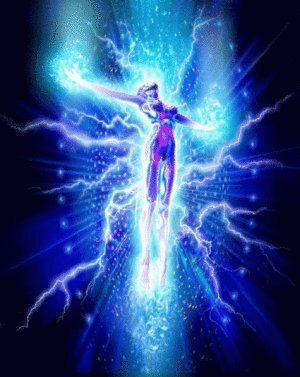 During the experience of astral projection, the brain generates different frequencies (4-7 Hz) than at other times (13-40 Hz when we are physically active, for example). 2. It is possible to influence the frequencies generated by the brain at any time to facilitate an experience such as astral traveling. 3. To exercise this influence we usually resort to internal methods such as meditation and visualization. External methods are also possible and it is advantageous to combine them with internal methods. 4. One kind of external technique is brainwave entrainment or binaural beats. They are special sound waves that need to be listened to in headphones because each binaural beat is encoded with two slightly different frequencies. One frequency is relayed to one ear and the other frequency goes to the other ear. 5. The brain responds to these slightly varying and simultaneous frequencies by generating a third frequency that corresponds to the difference between the two original ones. In the case of astral projection, we would want that difference to be between 4-7 Hz. 6. As the brain is stimulated to produce these 4-7 Hz (theta) frequencies through the use of binaural beats, we enter an altered state of consciousness from where astral projection is much more easily induced. We still need to be in a relaxed state and pay attention to the process but because the brain is already doing what it does during an actual out of body experience, this process is facilitated. 7. …and if you are wondering why we don’t just directly listen to frequencies in the 4-7 Hz range and influence our brain waves as such, it is because we cannot! The human ear does not perceive sounds lower than 20 Hz. This is why binaural beats are useful. This technology cannot push you into experiencing astral projection, it is gentle and safe. As you relax with the sounds and focus on your intention to project your consciousness out of your body, you will find yourself brought into the experience much more effortlessly. As you gather early success in your exploration of out of body statesPsychology Articles, you will build your trust in your own abilities and open the doors to an incredibly exciting world!